This channelling flowed after a powerful and delicious session with a client. Whilst recording the video, I heard myself say “Welcome to the first episode of Ask The Ancients”. Though I’ve been planning to start Soul Inc TV for a while now, I had no conscious plans that yesterday was going to be the day but obviously my unconscious had other plans. I trust that! So, here’s episode number 1. For the first episode, I decided to just open to The A’s and see what wanted to flow through for you. In the channeling, The A’s have given an outline for their vision of co-creating a new world, not healing the old but creating a whole new one. a deeper connection with The Ancients. For those of you that prefer the written word, here’s the transcript. Cara: Hello and welcome to the first ever episode of ‘Ask the Ancients’. 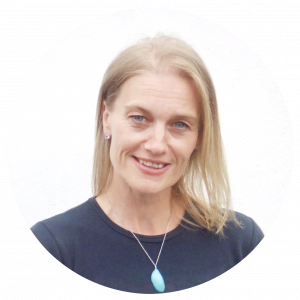 My name is Cara Wilde and if you have been following me for a while you know that I work very closely with the non-physical beings called ‘The Ancients’. They are my own personal guides and the guides that I use in my work to support others and teach other people how to channel; and I have been asking the Ancients for quite a while in my own life… They are my ‘go to’; they are my mentors and – when I remember – I ask the Ancients if I am ever stuck; if I am not sure what to do; if I need an energetic upgrade; if I am feeling a little bit out of whack and out of tune. 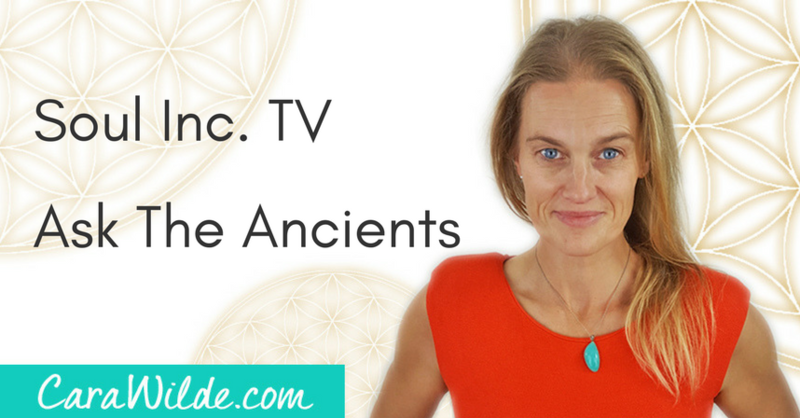 You will notice that I started recording that on my blog just recently and I will continue to let you know about my own personal journey with the Ancients because people are finding it really useful… I am getting lots of positive feedback about that. To start off with I have already got some general enquiries from people, but to start off with today on the first ever show, I am just going to surrender it to them. So, I can feel a sense of excitement already, but I have no idea what they are going to say. And that’s the best thing that I like about channeling is living on the edge of the possibility, it is like a rollercoaster I just never know what’s going to come next. So, I have no idea how long this is going to be, they might just come through and say one sentence; they might come and hang for half-an-hour, or an hour, like they normally do. So, I will close my eyes, the next voice that you hear will be the Ancients and if you have never seen me before, my voice does change slightly it is to do with the energetic connection I think, if I was to say that I knew exactly what was going on I would by lying. So, I just surrender this bit to them. So, I will see you on the other side. The Ancients: It is with love and appreciation that we are connecting to you this day. And we come to you with a sense of wonderful celebration for our new relationship together, one that we can hopefully connect with you through this medium of the video, but also on a deeper energetic level, so that we may become one of your unseen friends, one of your partners as you co-create with reality and nature to establish in your world a new world. A world of hope, a world of inspiration, of creative solutions flowing in, for both your life and for that of your globe; for that of your planet and for that of your humanity, of your animal kingdom, of your mineral kingdom and all the unseen dimensions that live with and within you. We are pleased to be here and we welcome you. Come and gather with us. your way, our way, the ways of the ancients where cooperation is in command in the kingdom; where love is the centrepiece of all communication. Where aliveness and enthusiasm is the inspiration that sparks the conversations of possibilities. Where the focus is on solutions flowing in, rather than blame of what has been created but always reaching, always striving, for cooperation and commitment and striving may seem like an usual word in your current understanding of the law of attraction. But we want to introduce to you the idea of, the idea of something that is not beyond the law of attraction but works within the law of attraction. Kind of the law of resonance, but also something more than that, where you can begin to command your reality, were you command and demand, where you settle for nothing less than the very best of qualities… not the very best of form, you are always going to be playing with a sense of form, but the very best of qualities. The commitment to the qualities of love, compassion, extraordinary kindness and respect; bringing…looking at life through the eyes of aliveness and possibility, of dignity. The willingness to be seen and heard and the absolute integrity that you will only connect with, and experience a relationship with those who also work with these qualities in mind. It is not elitism, although it can be used that way, it is not elitism but it is a commitment, a commitment of hope, a commitment to a new land, a commitment to a new experience of living in physical reality. One that doesn’t allow blame to keep you looking backwards, to keep blaming each other in humanity for the state of the world; but to use your creative abilities, to look at the field of potential and ignite the field, ignite the field so that the form can begin to be built in your physical reality. Ignite the field of potential, for it lies dormant unless you choose to illuminate it. So you, how do you illuminate the field in front of you? You have to use the energy of hope to take you beyond belief. To live beyond belief. Where all is possible, some are probable, but you are being called now to live beyond belief, live beyond what you believe is possible. How do you do that? The way to begin to do that, and what we want to touch within you today, and to spark within you today, the way to live beyond belief and to ignite the field of potential so that new form that you can’t begin to imagine yet, but so that new form can begin to materialise and come into being in physical reality. You begin, by cultivating, a sense of trust and surrender but more importantly by cultivating a relationship with your now. With your now. So we have been encouraging the channel to see everything through the eyes of joy this week. And we knew that what life was going to bring her would create challenges of being able to see it with the eyes of joy. And we knew that she would get a little angry with us, and she did, because at some moment she was just: ‘where is, where the hell am I going to find the joy right now?’ But when she asked the question, ‘where is the joy?’, sometimes it is the spark of colour in a child’s eye, in the majestic nature of the clouds above her. In the sweet smells of the hyacinths in full bloom in her supermarket. The more she looked the more she found joy. And that was the quality that she was beginning to create more presence of in her life. Where she attended to it, it called more into her physical reality, but more importantly – and this is what we are wanting you to contemplate to bring into your own wisdom, your own experience of your own knowledge, of your own understanding, and contemplate this idea – because one of the greatest discoveries of the channel through perceiving through the eyes of joy was it brought her into fully landing in her now. By seeking through the eyes of joy it disconnected her from her past wonderings, her past wonderings… wonderings about the past, what had brought her here: looking more fondly on the past, looking less fondly on the past; but it dropped the past. It also dropped an invitation of a certain future, the worry of a future, the wondering of the future, it disconnected the invitation to a future that wasn’t wanted and dropped her into the soft fabric of reality, of the now. The soft quality, the gentle landing Into love in the now; because ultimately that’s all that’s ever present. You’re either projecting your past, or imagining your future and that brings you out of connection with the now and induces anxiety, your depression. Certainly, it doesn’t tend to induce peace. And at the core, allowing in a new reality is a generating of the peace in your now, love in your now, love in your now. Just take a moment… just be with us. Close your eyes. Take a deep breath in through your heart. Set your intention to connect with the field, the field of love, the field of ultimate possibility, infinite possibility. You feel this through your heart centre and just drop into an ocean of peace and love. Love for you, just for you. Hear the stillness, the silence, the presence, taking you back to the centre and truth of who you are. You are a being of love so vast, connected to an ocean of love and aliveness. The potential…feel that in the field also, the point of perfect peace, and unlimited potential, that is your creative power. Take time to plug into this field throughout your day if you can. This will help you move beyond your beliefs. It will put you in direct contact with divine inspiration. The field of potential and possibility intermingled with unconditional love, but love that has a direction, love that has purpose, love that desires, love that wants, love that has will, love that has more than fantasy, but dreams of the dreamer within. Love that has the connective potential to the future that you wish to create and that you can begin to imagine to create. Allow life to surprise you. Allow the solutions to flow in… know that your mind doesn’t have to create. You allow. Allow. Allow and the more that you are in the presence of your now, the more you can allow to flow into your life. Because you trust and feel that you connect more to the field of love, then trusting and surrender become easier because you can feel, you can feel the qualities of this love that wants to inspire, support, protect, unleash you into your world. It is your fears that stop you from seeing this so automatically, just your fear. The more you practice, the more you practice being in the presence of your now, knowing the importance of connecting to the field of love and potential, a sea of love and potential, the more that you feel that in every now, the more aliveness you will experience, but more importantly the more life you allow into you… co-creating with source energy directly. Source who knows you so well, so intimately. Allow us to sit with you a moment more, give yourself permission to keep your eyes closed for a little longer, and close your eyes whilst you are in physical reality, disconnect from the images of your current creation long enough to tap back into the potentials so that you can change the momentum of the reality that’s coming towards you. Disconnect for a while, take a long stop and just be with us for a moment. Be with love. It is our desire to communicate and commune with you over a long period of time; and always we will be waiting by the campfire with the deer, and the elders, the ancients and the ancestors. The gatekeepers of the new reality. The old reborn. Lemuria anew. And for now, in love and peace, we bid you farewell. Cara: If you have any questions or any comments, please do leave them on the blog or contact me at: cara@carawilde.com and remember if you want to have a conversation with the Ancients you can have your own personal conversation with them, or use the hashtag #askthancients. Thanks for joining me, bye for now. Thanks Cara and the Ancients for this message of love, inspiration and hope. I found myself relaxing into each word, and letting it reside within me. Just what I needed to calm me, and bring the joy back in.